One of the challenges animators face when they’re getting started is maintaining consistency in the objects they draw across numerous frames. It’s also time-consuming and labor-intensive to repeatedly draw and re-draw frames with the same objects to create a sense of motion. 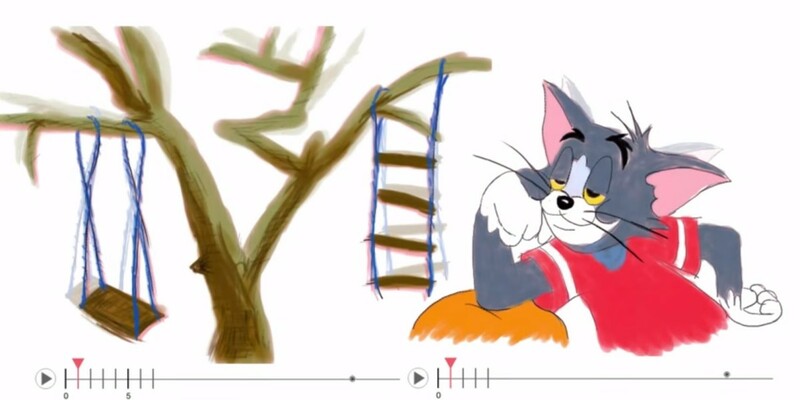 A team of researchers at the University of Hong Kong have come up with a clever system that learns what you’re trying to animate and suggests lines and strokes for the next frame. So, if you want to depict a swimming fish, you only need to draw the creature once and start the next frame with a single line; the software will show you an outline to draw the rest. Developed by Jun Xing, Li-Yi Wei, Takaaki Shiratori, and Koji Yatani, the system adapts to your brush strokes and changes its suggestions depending on how you’re drawing each frame. It also shows you possible improvements to what you’ve already drawn, and you can easily accept or reject the suggestion by following it or continuing to draw freehand. The autocomplete tool can also understand and later predict patterns for filling spaces (such as the scales on a fish’s body). It looks like a handy tool for amateur animators who are still getting to grips with basic motion and want to continue practicing drawing by hand. The team will formally unveil the technology and publish a paper explaining how it works at the SIGGRAPH Asia conference next month in Kobe, Japan. Xing and Wei, the owners of the autcomplete system said that they plan to ship “a (free) mobile version of this product,” but haven’t shared details on which platforms they hope to release it on or when. With more devices introducing stylus support, including the iPad Pro, this could be a boon for budding digital artists and animators of all ages.